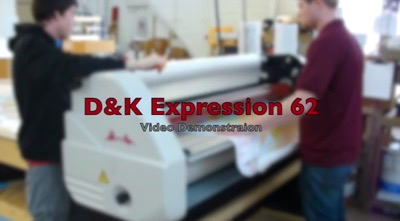 The D&K Expression™ 55 Plus Commercial Roll Laminator provides more versatility in roll lamination projects. It can handle low-melt lamination, thermal lamination and pressure sensitive lamination. It’s ability to handle these multiple applications gives you the ability to offer a variety of finishes to your customers. The top heater roller can handle single sided lamination from thermal or pressure sensitive films. It can also handle self adhesive vinyls and the print media to go with it. 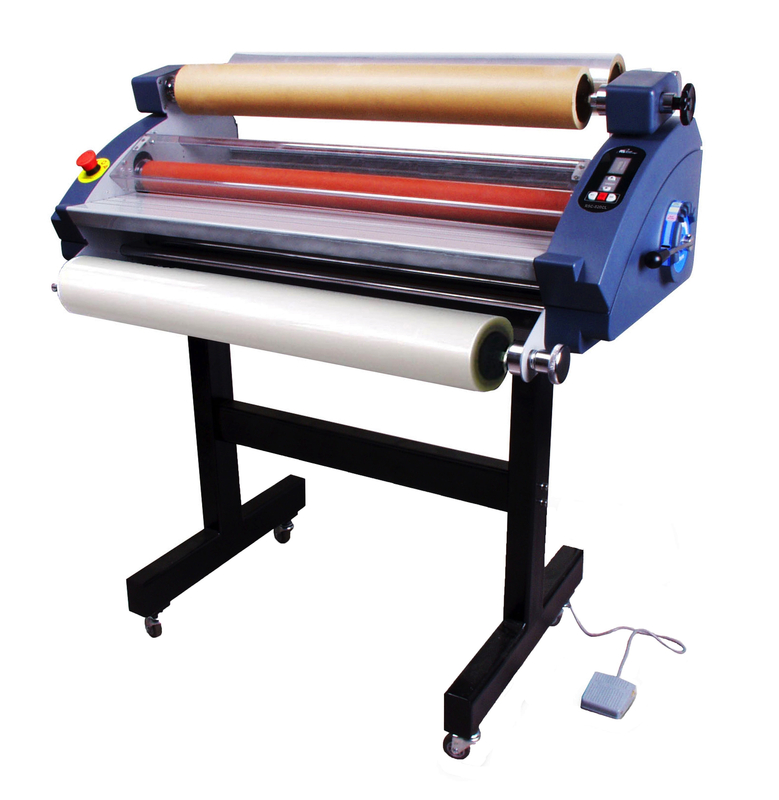 The Expression 55 Roll Laminator can come with an optional rewind which an wind up the finished materials for easy handling and post-processing. 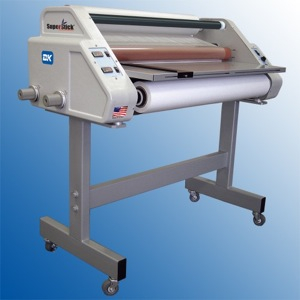 If you are a sign shop or print finish shop, the D&K Expression 55 Plus Commercial Roll Laminator is a good value and hard worker for you.